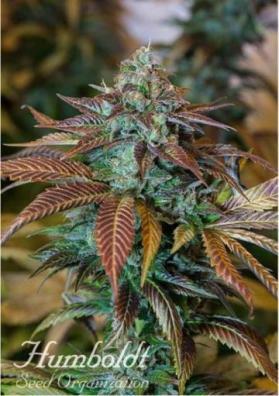 The feminized marijuana seeds The New arrive to dethrone all strains and settle as the most potent strain of 2019 with THC levels that reach incredible 28%. 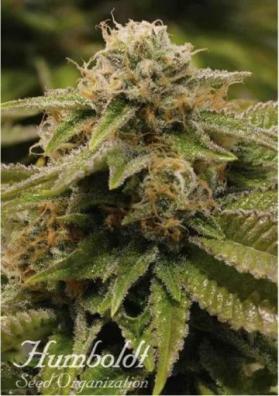 Result of the collaboration between the bank Humboldt Seeds and the famous breeder Sherbinski, this delicious strain promises to take all who try it to another level. The feminized marijuana seeds The New are the real novelty presented by the Humboldt Seeds Bank, surely the most potent variety of 2019 and one of the most potent ever developed. 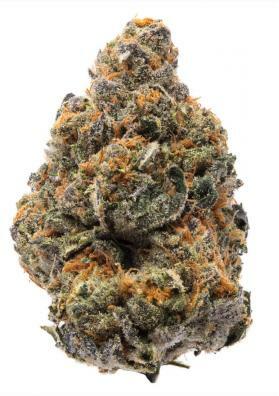 Result of the collaboration between this bank of American genetics and the famous breeder Sherbisnki (creator, among others, of the line Gelato and Sunset Sherbert), this strain is the result of the crossing between Girl Scout Cookies (Sherbs Cut) with Larry OG. The result is an incredibly potent and productive strain, with a level of THC as rarely seen before. What is the structure of The New? 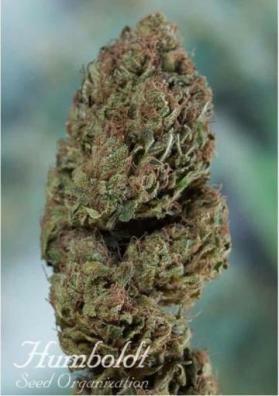 The New is a strain that gives rise to medium sized but quite vigorous plants. It is recommended that the growth of this hybrid, indoors, be short, otherwise it may be quite difficult to control. In the outside the most recommended climates for growth are dry, warm and Mediterranean or, in the case of not being able to count on these characteristics, to be grown in greenhouses. 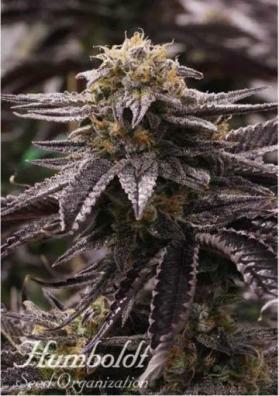 At the end of its flowering is a plant that has a spectacular purple and black color and buds that batter resin. How much does The New produce? The New is a strain that has a very high production and that will not disappoint whoever cultivates it. Outdoors it can reach an incredible 3.5kg per plant. Indoors, with specific lights for the crop, its yield can reach 600 grams per square meter. What effect does The New produce? The New seed strain has a very potent effect and has one of the highest THC levels ever seen, i.e. around 28%. As an excellent indicator, its effect comes early and suddenly, is strongly sedative and is only recommended for the more experienced. What aroma does The New have? The aroma and taste of The New is difficult to concentrate and explain in words, since it is very complex. In it we can find flavors as different as biscuits, cinnamon and gasoline, all combined with a strong sweet and earthy aroma. In short, a flavor that even the most expert tasters will have difficulty cataloguing. How is The New grown? This strain is very easy to grow and only requires some extra care indoors, where we must reduce the number of days of growth so that it does not grow too much. Its flowering time is medium and it will be ready to harvest in 65-70 days indoors. Outdoors it can be harvested about two weeks after the end of summer. Height: Outdoors up to 4 meters. Flowering: 65-70 days (indoors) or two weeks after the end of summer. Production: indoor 400-600 g/m2 outdoors up to 3,5Kg per plant.